Not every hunt needs to be facilitated… and there’s no denying that a great deal of “team building” happens after employees have locked the office and headed out for a drink. 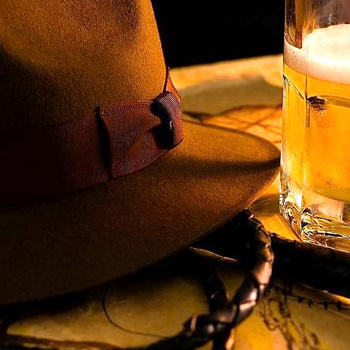 If you have the time (and the inclination), our Build-A-Treasure-Hunt Pub Crawl kit is a great way to transform the bars and taverns of your area into an interactive, clue-solving adventure: at a great low price. We provide you with 5 of our signature, crafty, puzzle-based clues — all with a drinking theme — along with answers, rule sheets and a full coordinator’s guide. Unlike a facilitated hunt (See our Starter, Standard and Premium offerings), the clues in your Build-A-Treasure-Hunt kit do not yet lead to specific locations…although they will eventually . Rather, our clues solve to passwords, which you will match up with actual pubs and bars in your desired area. Yes, you’ll need to do some actual site scouting. But at least the puzzles will already be written for you! And the scouting can be a lot of fun, too! 5 full-color puzzles that will test your knowledge of bear, wine and mixed drinks! $87 (plus tax). Available immediately by email download.